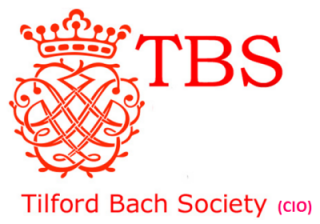 Pete writes: “It is with the greatest pleasure that Rosemary and I are sponsoring tonight’s concert in gratitude for all the magnificent music that we have enjoyed thanks to the Tilford Bach Society. Rosemary must be one of the longest serving adherents of the TBS, but I hasten to add it’s because she started as a young student. She was taught by Barbara Gregory, Greg, the first secretary who encouraged her to go along and help with the interval refreshments at the Institute and then she stayed on for the concerts. She was once caught by Dr Thornton Lofthouse playing his harpsichord, but he didn’t seem to mind. When I came along we went to concerts together and have been doing so ever since. Thanks to our Directors of Music over the years, Denys, Paul Nicholson, Laurence Cummings and Adrian Butterfield we have enjoyed the services of professional players and singers at the top of their game. And we know that the many familiar faces that turn up year after year, particularly at the Festival, come because they enjoy performing at Tilford. Stephen was born in West Byfleet in 1957. He began his musical career studying the piano at the age of 7. He was a chorister at St Andrew’s Frimley Green from 1966 and subsequently had organ lessons with Ken Sargeant. At 18 he studied organ with John Birch and piano with Ruth Gerald at the Royal College of Music, gaining Associateship in 1978. Between the years 1978 and 1981 he was organist and choirmaster at Holy Trinity church, Hawley. From 1982 and 1998 he was organist at St Mary’s Frensham, and is currently Director of Music and organist at St Andrew’s, Farnham. 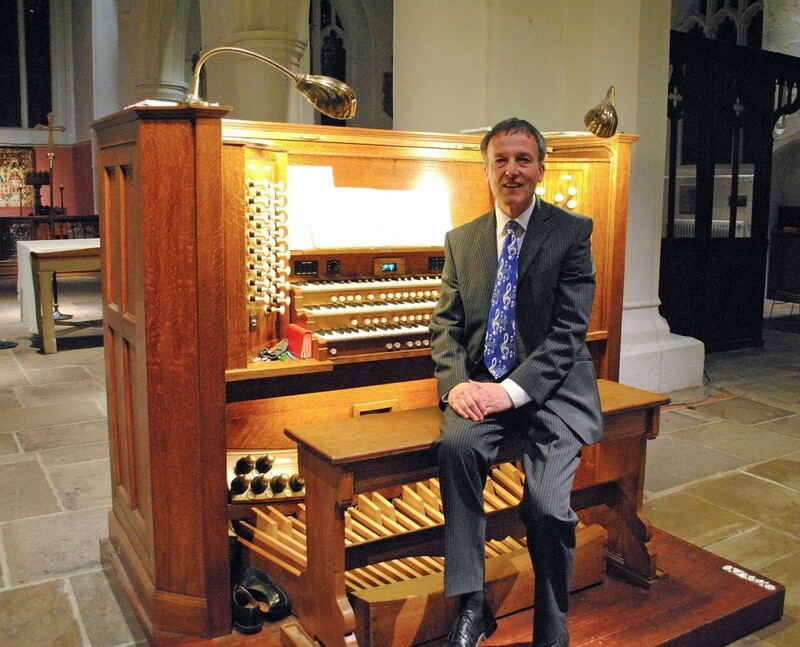 Stephen has been duty organist at Aldershot crematorium for over 30 years, and teaches piano and organ at home. He regularly accompanies for a local school choir, accompanies various Associated Board exams, and has also played for the Cantabile singers at Winchester and Guildford Cathedrals. When not performing, accompanying, or teaching, Stephen will be found in the garage restoring, servicing or tuning pianos! Married to a flautist, with two children and a delinquent dog, Stephen spends any free time gardening, exploring Roman archaeology and drinking malt whiskey!